Religion isn’t about believing things. that gives you intimations of holiness and sacredness. 12th November 2009 will be marked in history as a red letter day for this generation and generations to come, for today the Charter for Compassion was unveiled. Charter for Compassion is a document based on the core shared value of every world religion and moral code, the “Golden Rule”, the basis of universal justice and respect. 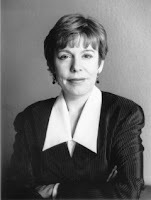 In February 2008, Karen Armstrong, considered as one of the most provocative, original thinkers on the role of religion in the modern world, won the prestigious TED prize, awarded annually to three exceptional individuals who each receive $100,000, and more importantly, the granting of “One Wish to Change the World”. This morning at 10am, Karen Armstrong unveiled the powerful text of the Charter for Compassion -- the culmination of her 2008 TED Prize wish. Read about the History of How this Charter was born. Also I posted an article in Global Voices Online "A Quest to Unite Religious Communities: The Charter for Compassion" summarizing some of the conversations from the blogsphere about the Charter. The Charter seeks to change the conversation so that compassion becomes a key word in public and private discourse, making it clear that any ideology that breeds hatred or contempt - be it religious or secular - has failed the test of our time. Bringing together voices from all cultures and religions, the Charter seeks to remind the world we already share the core principles of compassion. Charter for Compassion has the potential to become one of the revolutionary document of our generation. We therefore call upon all men and women ~ to restore compassion to the centre of morality and religion ~ to return to the ancient principle that any interpretation of scripture that breeds violence, hatred or disdain is illegitimate ~ to ensure that youth are given accurate and respectful information about other traditions, religions and cultures ~ to encourage a positive appreciation of cultural and religious diversity ~ to cultivate an informed empathy with the suffering of all human beings - even those regarded as enemies. [>] Watch Imam Faisal Rauf giving a heart warming talk, Lose your ego, find your compassion on TED on Charter of Compassion that speaks about the central place of the attribute of Compassion from a Muslim perspective. As I was reading the brilliantly crafted texts of the Charter it reminded me few teachings of the Quran and Prophet Muhammad, upon him be peace that reaffirm the message of the charter. Quran calls to three Abrahamic faiths in an unequivocal open invitation to come to common ground, which is a spirit embodied in the charter. Your Lord has ordained Compassion (Rahma) upon Himself. And we have not sent you but as a mercy for all the worlds. You may support and affirm the Charter by adding your name to the growing list of affirmers.